Birthdays are such special days and it doesn’t have to be your own birthday in order to be excited for all the celebrations to come. It can often be incredibly exciting to celebrate a close friend’s birthday and to use it as an opportunity to show him or her that you really care. 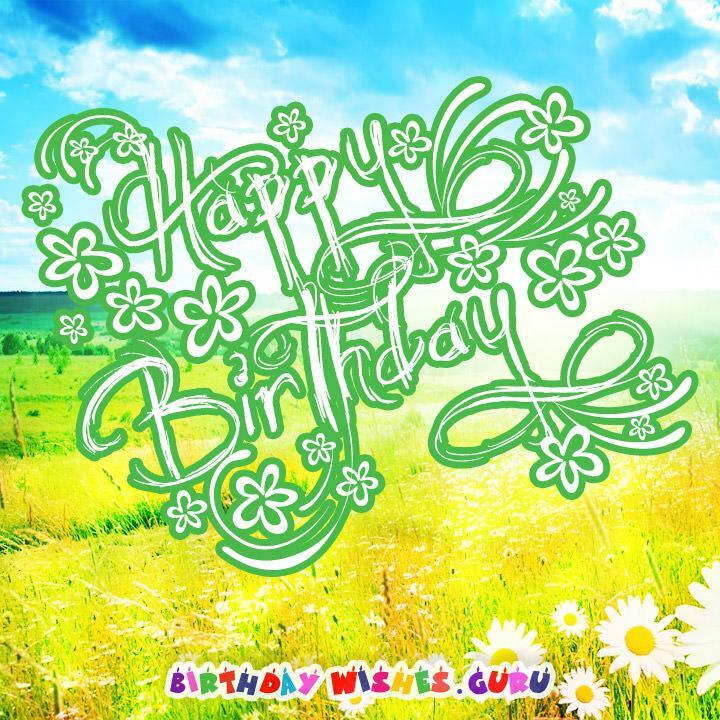 Check out our wonderful collection of 50 unique birthday wishes for friends. 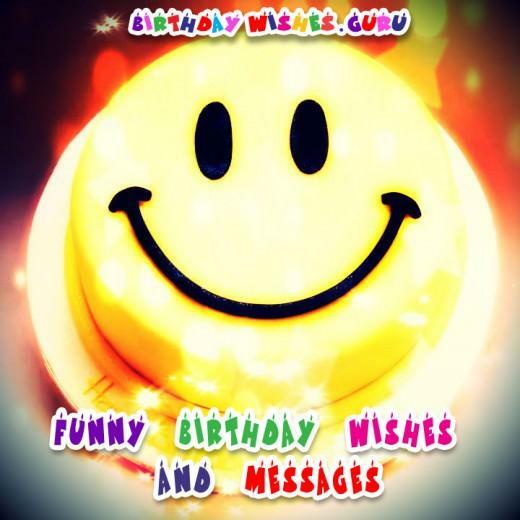 Send them an unforgettable birthday message and make your friends smile with a spectacular way of saying Happy Birthday. Ordinary words can’t express how happy I feel today. 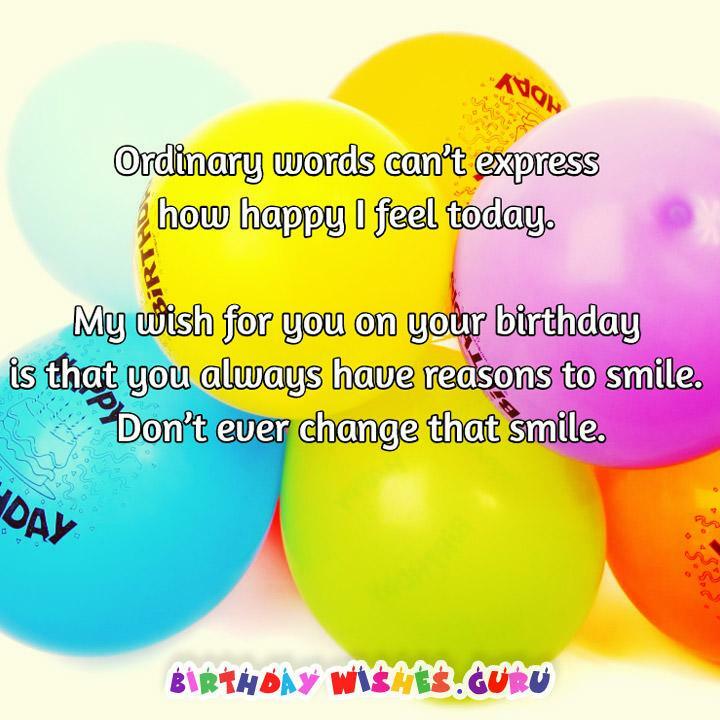 My wish for you on your birthday is that you always have reasons to smile. Don’t ever change that smile. May your special day be as wonderful and as fun-filled as it can possibly be. Happy birthday. Your unyielding spirit, your strong personality, your amazing attitude, your warm heart, and most importantly, your awesome humor. All these things are what makes you one of the best friends a person can have. Never change pal, you’re destined for great things. Happy birthday! Life is never boring with you around. You liven things up and pick me up when I’m down. Happy Birthday to an awesome friend! My birthday wish for you is that you realize what a great friend you are to me! May your day be as special and beautiful as you are. A cheerful friend like you is a bright sunny day after a stormy night. Happy birthday. You mean so many things to so many people. To me, you are my best friend. Happy Birthday! You deserve to have a special time today and I’m going to do my best to make sure that happens. I just want you to know that no matter what happens in life, I’ll always have your back! Happy Birthday! Happy Birthday. Make a wish! And then tell me your wishes so I can make them come true. You only have one chance to be young, but you can be immature forever. So go wild, it is okay, it is your day. May you have a sweet cake and very expensive presents and may your days be glorious. Happy birthday. I hope you like your new age because I know it loves you. It obviously looks good on you. Happy birthday. I wish I could be the best friend in the world, but there is absolutely no way to be a better friend than you. Happy birthday! When it comes to friendship, I can’t think of anyone who has had quite as much of a positive impact on me as you have. Have a Happy Birthday! We love to celebrate with you. Thanks for have this birthday party and giving us a reason to celebrate. All the happiness in the world is yours. All the greatness you can achieve is at your finger tip. Happy birthday. Another phase of your life will soon emerge. But not until you are much older. Now is the time to be free and vibrant, you are still young and full of life. Happy birthday. Today is the beginning of the rest of your life. Another chapter has been open in your book. The rest of the pages are yet to be filled. So go on and fill it. Happy birthday. I thought you were perfect, but today I realize that there is a change in you. You have changed your age. You are just like wine cause you keep getting better with age. 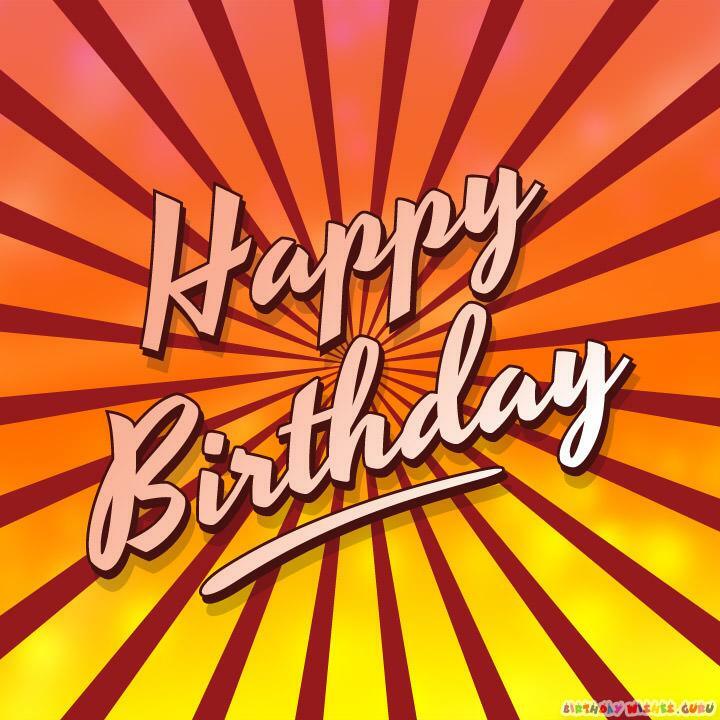 On this special day I just want to say, Happy Birthday to you, and thanks for all that you do! Have a great day and a terrific year! Reach out and touch the stars. It is your birthday. May all your dreams and wishes come through on your glorious day. Happy birthday. It takes a very long time to look so young. Happy birthday. I wish I could be there with you. Don’t have too much fun without me. Happy birthday to you. I decided not to celebrate another birthday with you. You haven’t gotten older and we have celebrated lots of birthdays. How do you do it. Continue climbing greater heights. Cause you are a star. Happy birthday. Countless times we’ve looked for a good place to go on a Saturday night, and we’ve found nothing good, but that one time that we find that rare little diamond of a shop, our lives become suddenly better. Well you, my friend, are that one little diamond. Happy birthday! Wishing you all the greatness words can express and the one out of this world. Happy birthday to you. I always love to be close to you. You seem to enrich the lives around you. Happy birthday, my friend. Remember the day you emerged gloriously from the womb? Today marks another anniversary of that day. Even though we have been through so much together, you are still my best friend. I love you and can’t wait to celebrate this special day with you. Your friendship is one of the biggest joys of my love. I can’t wait to celebrate this special day. Today is my best friend’s birthday! That’s you! Let’s get wild and crazy tonight. I wait all year to tell you how much you mean to me. I hope you enjoy this special day! It’s party time! I’ve been waiting all year to celebrate with you. Happy Birthday dear friend. I can’t wait to hit the town with you tonight. My hope is that you have a lovely day and all your dreams come true. Happy Birthday, buddy! Let’s hang out soon and celebrate. Happy Birthday! Today’s the day you get to do whatever you want! You are such a good friend and are always thinking of others. I hope you take today to think of yourself. I can’t wait to come over and help you light all your candles. Happy Birthday, dear friend. I hope you don’t mind if I eat all your cake. I love being able to grow old with you and I can’t wait to celebrate every and each birthday with you. I hope this year is your best year ever! Tonight’s the night to celebrate because today is your special day! Every year I think about special things I want to do for you on your day. I hope you like what I have planned. You have always been such a good friend today and I’m going to use your birthday as an excuse to show you how grateful I am. My message to you is that I hope today is the best day of your life. That’s how excited I am for you. I’m so glad we are best friends. Happy Birthday, my lovely pal. I’m ready to start some trouble with you tonight because the party patrol is on the prowl. It’s been such a great gift to have a friend like you. I hope you enjoy my gift to you on your special day. A good friend never remembers your shortcoming, never forget positive attributes and always believes the best about you. A good is what you are. Happy birthday. Birthdays are a brand new start, a fresh beginning, another chance to start all over. Begin your new life with an invigorated start and move on. You are unique because you are. I’m so lucky to have you as my friend, I feel like I should go gambling in Vegas! Happy Birthday, buddy. Let’s head out and play like we were kids again! I hope your day is as awesome and exciting as you are! You are my friend because of what a wonderful, loving person you are. I hope you enjoy today and take the time to spoil yourself. Your face is wrinkled. You have gray hair. You are older my friend! Happy birthday.